Cool damp mornings-we wear an extra layer, long johns and a cap. Work is easier in the milder autumn temperatures. The air smells good, and the sunlight is heavier. I love this time of year! It energizes us and we to hustle with these last growing days of the Summer Season. 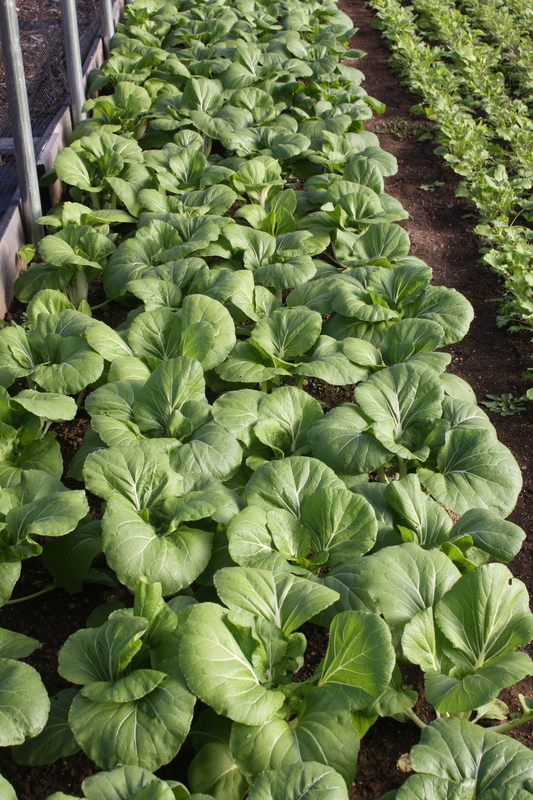 Crops we have tended all season long are finally being harvested and the delicious leafy greens that only grow when it is cool are sprouted, up and thriving. We look forward to every day but wonder when that first frost will arrive. Big projects all week long. LONG, really LONG rows of greens needed to be weeded and thinned that often took hours, the pear harvest bonanza continued, squash from the field, a huge edamame harvest and canning! Our days were full and happy. Scott kept bringing up crates and crates of the wonderful pears. 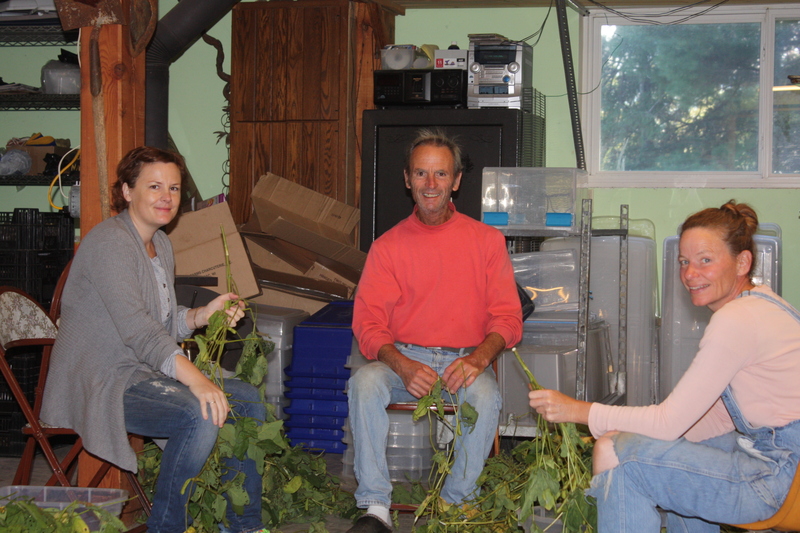 We have never had a harvest like this. 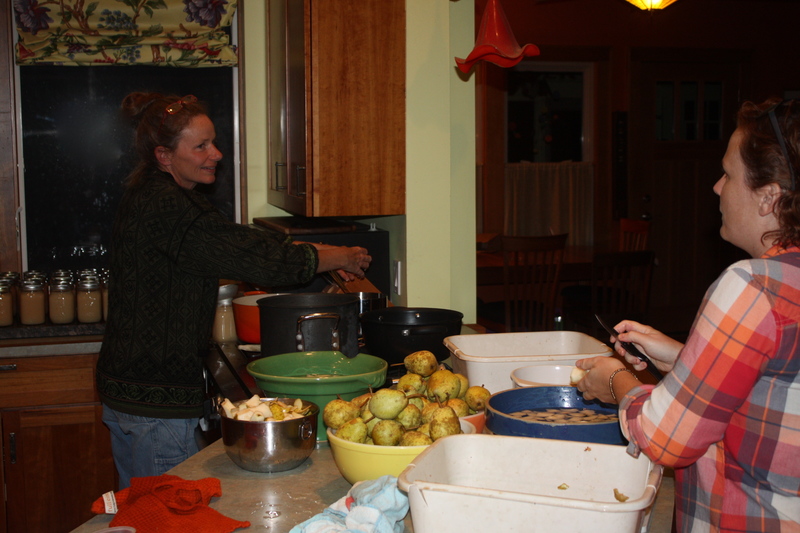 Scott’s daughter Amy and I spent a day making delicious pear sauce for winter enjoyment. 48 pints when the day was done and a very sticky kitchen that had to be wiped down before bed. 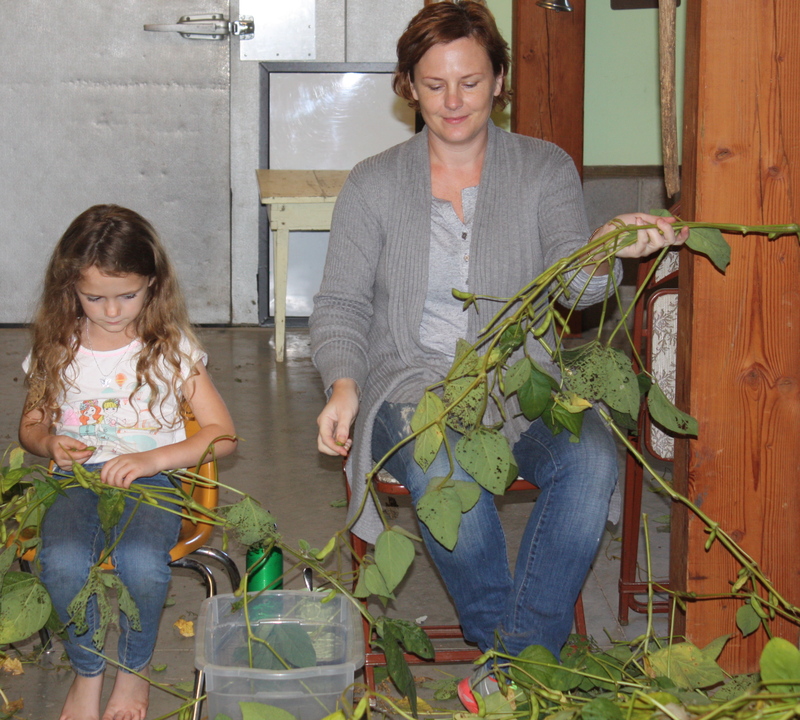 The Pear Factory….We called ourselves LaVerne and Shirley and chugged along. 10+ hours of pear slicing! Fun treats are tucked in the share this week. Enjoy! 500 pounds of garden delights. Edamame-We love this crop! A great snack or add the beans to soups and sauces. Steam or a brief dip in boiling water. Salt if you wish. Remove the beans from the pod and eat. Wonderful sweet flavor. We had to call Scott’s daughter Amy back again to help. This time she had to work in the soybean factory allllllllll day. Thank you Amy for saving us. 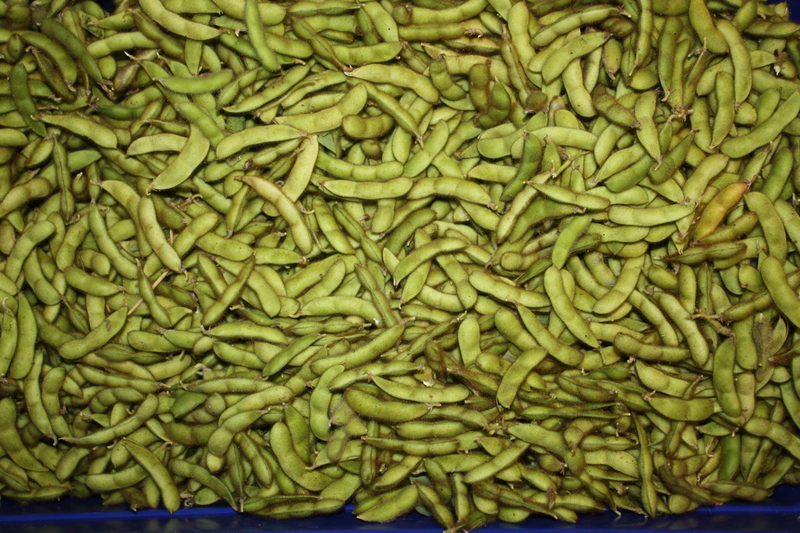 A tub of edamame pods plucked from the plants. 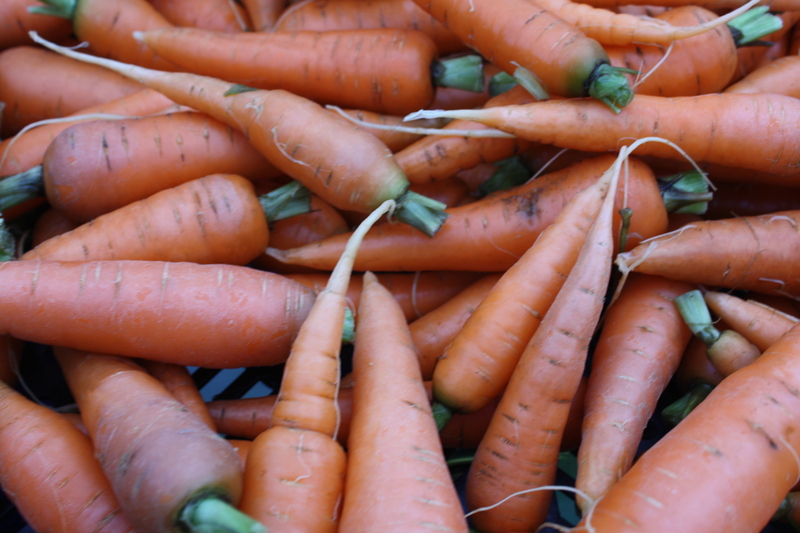 Carrots-Yep, Again……we are pleased really pleased…… Snappy and delicious. This variety is called Romance and a favorite. 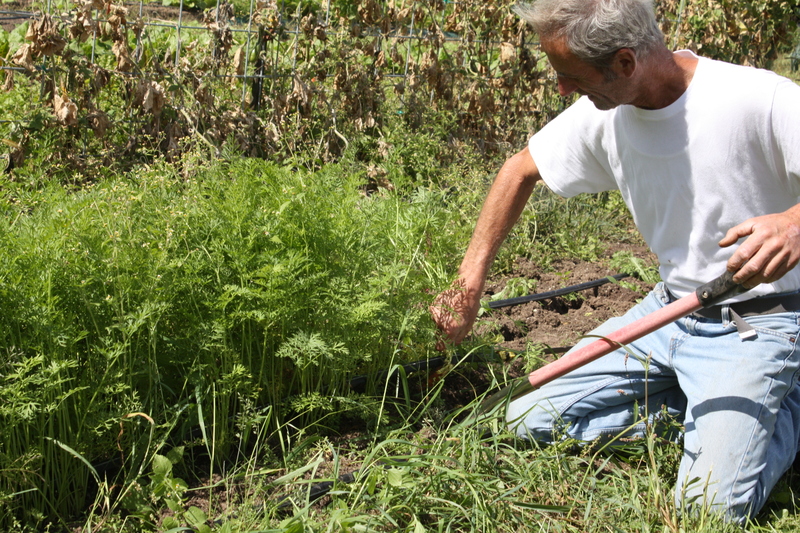 Scott harvesting Romance carrots in the garden. 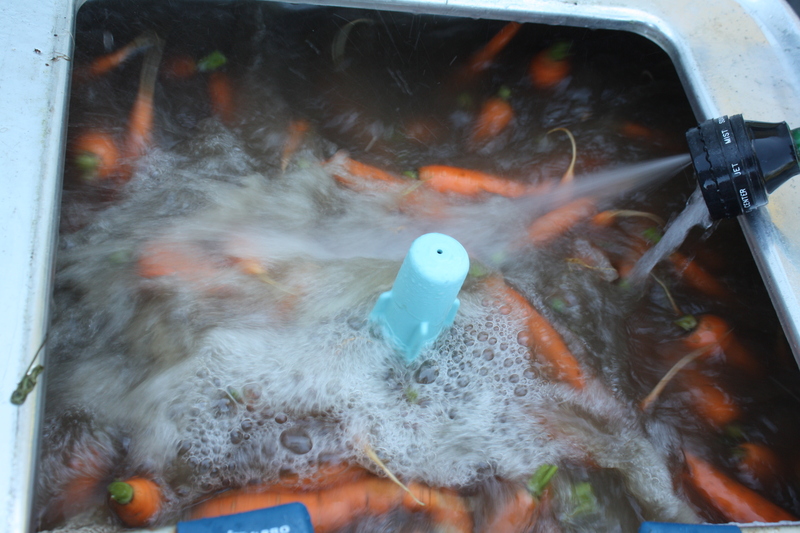 Carrots after the first rinse. 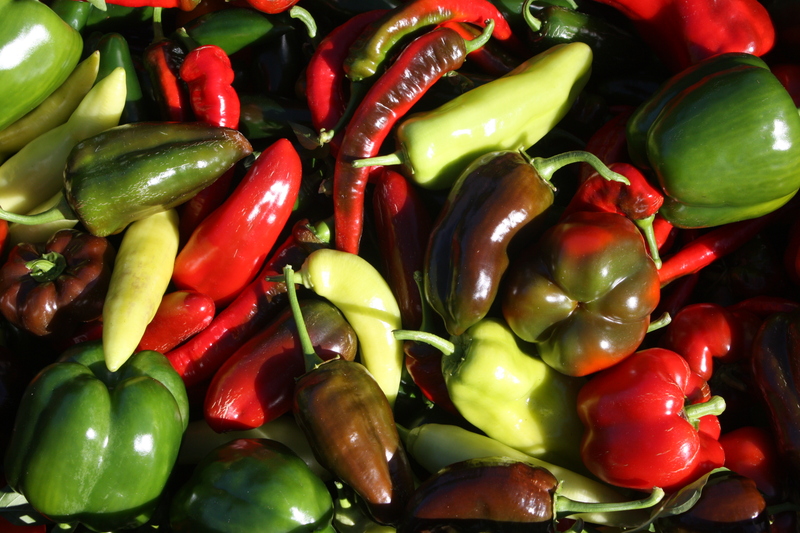 Sweet Pepper-We picked an assortment again this week and 1 will appear in your share. Hot Jalapeno Peppers-A few for each as the plants were loaded this week. Eggplant-ERDMAN AND LARDAHL SNACK PACK SHARES ONLY THIS WEEK. Pears-More wonderful pears to enjoy this week. We had 1 CSA member comment that they had no idea that this is what “real pears” taste like. 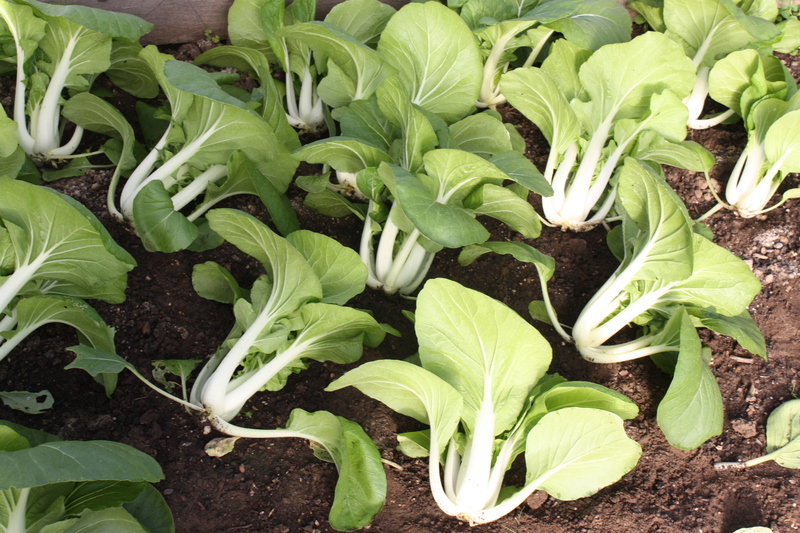 Pac Choi-Beautiful juicy heads from the hoop house. Eat fresh as a salad or add to a stir fry or soups. Potatoes-More of those purple Magic Molly wonders. Fantastic flavor. These are perfect for roasting or a short steam or even a few minutes in the microwave. 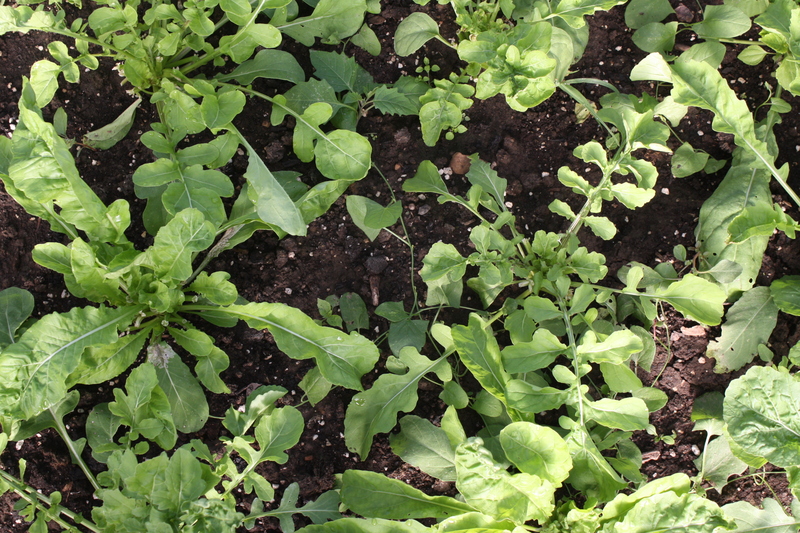 Arugula-A snappy bag to add to pizza or enjoy with a salad. I love them added to a sandwich for a little zip. 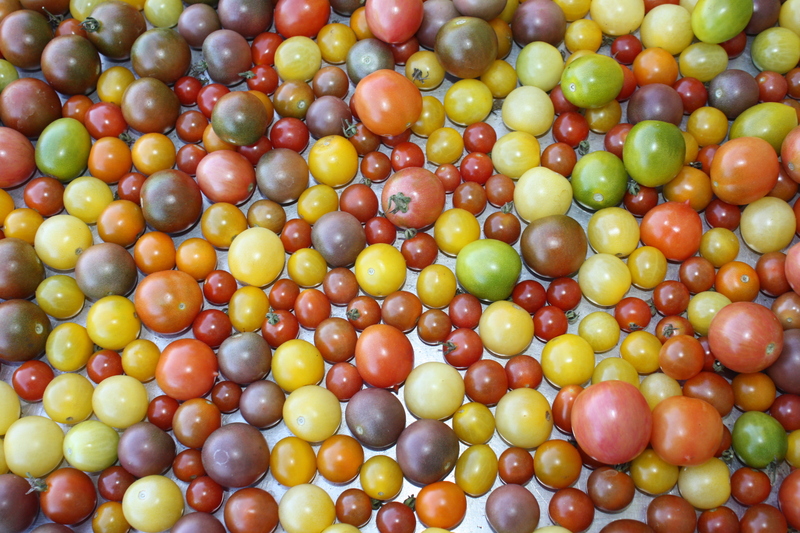 Cherry Tomatoes-The plants are slowing down and we hope for a few more weeks of these beauties. This week’s cherry tomato harvest ready to be washed. Slice Heirloom Tomato-1 for everyone. 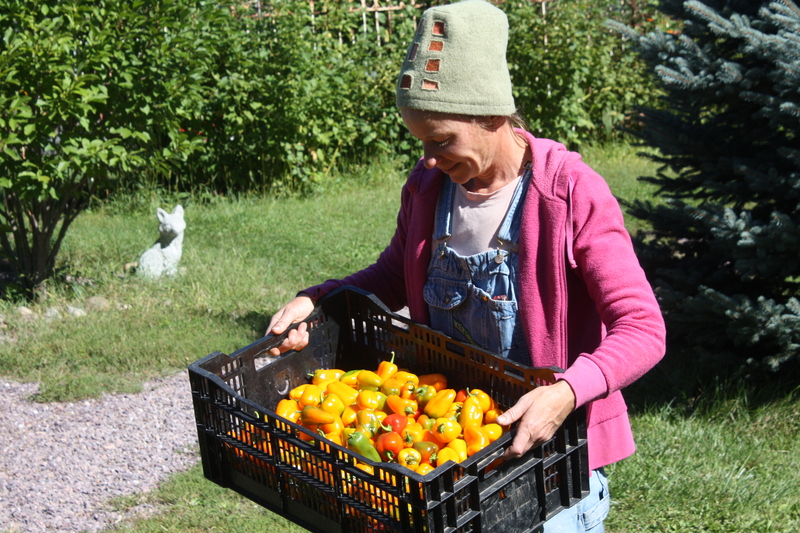 We are nearing the end of the tomato season. Edamame-We love this crop! A great snack or add the bean to soups or sauces. Steam or a brief dip in boiling water. Salt if you wish. Remove the beans from the pod and eat. Wonderful sweet flavor. We had to call Scott’s daughter Amy back again to help. 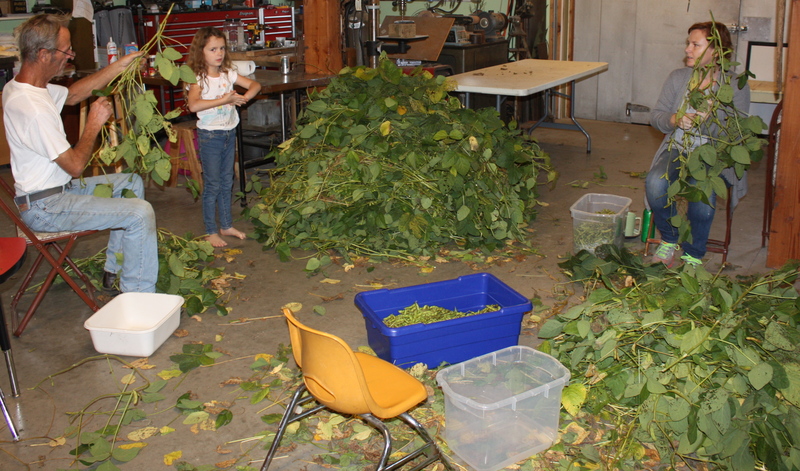 This time she had to work in the soybean factory allllllllll day. Thank you Amy for saving us. Maeve took a picture of us hard at work. 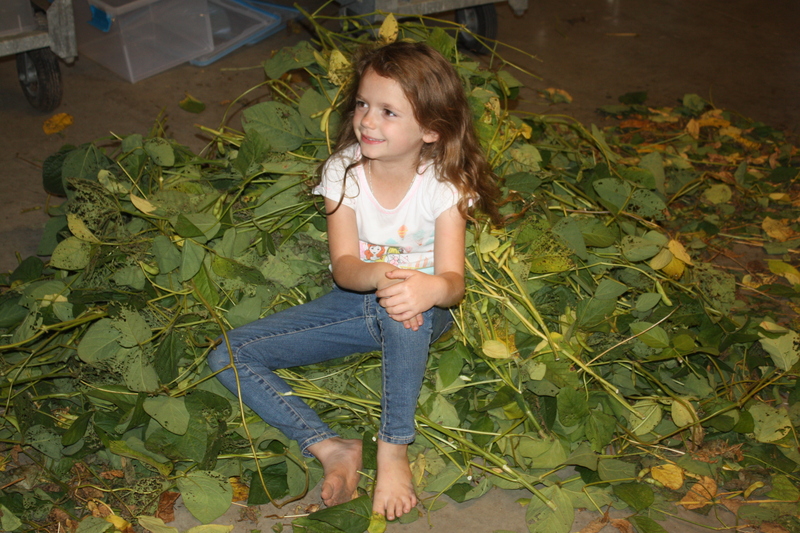 Relaxing in the edamame debris pile. 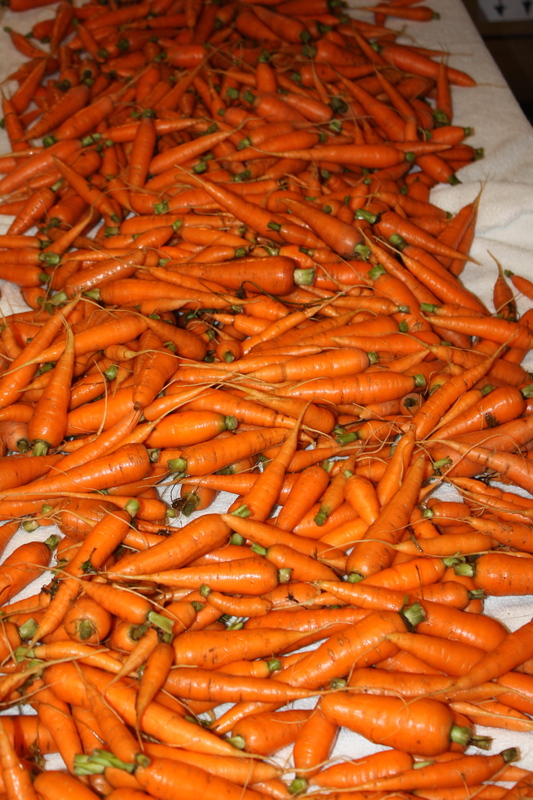 Carrots-Yep, Again……we are pleased really pleased. Snappy and delicious. This variety is called Romance and a favorite. 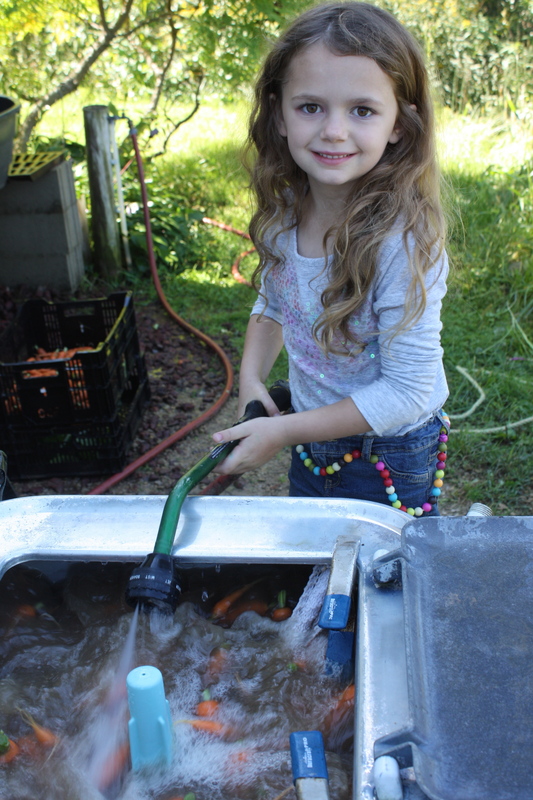 Carrots washing in the old wringer washer…..
Maeve helped with the washing. 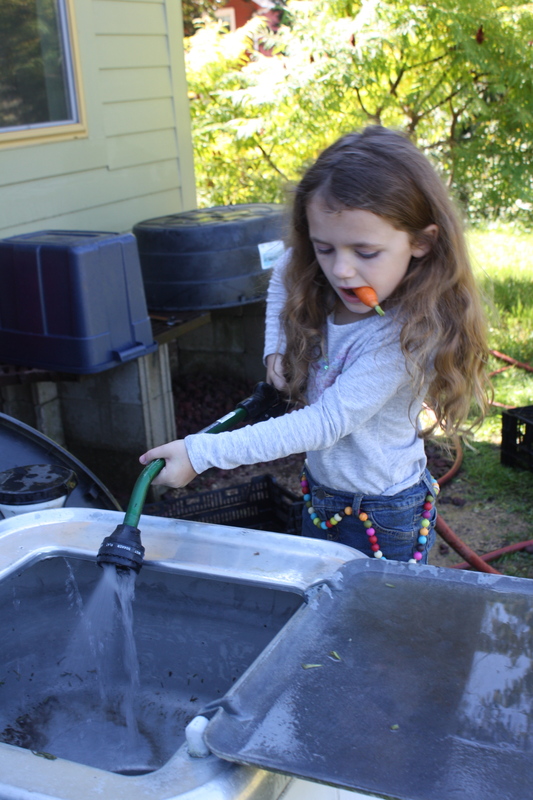 Of a great carrot harvest. Mini Sweet Pepper Mix-A color bag of these pretty snackers. 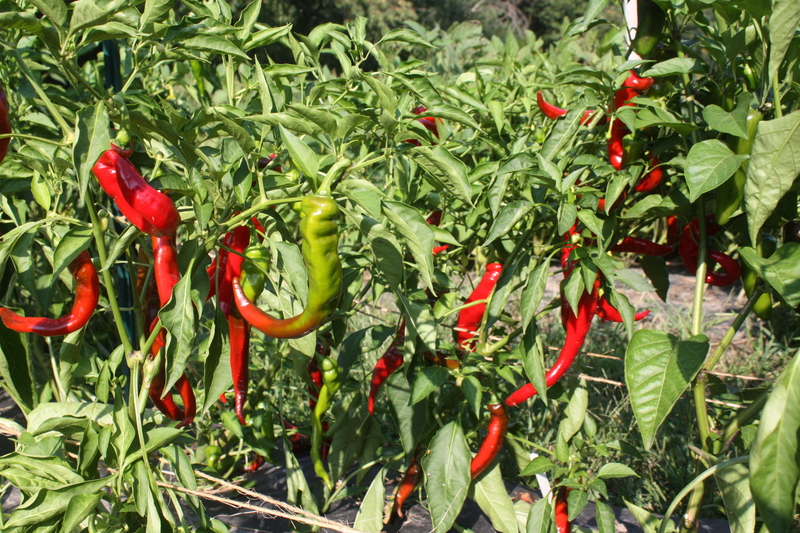 Jimmy Nardello Sweet Pepper-A great sweet pepper added to the Slow Arc Of Taste a few years back. Jimmy Nardello Sweet Peppers in the garden. 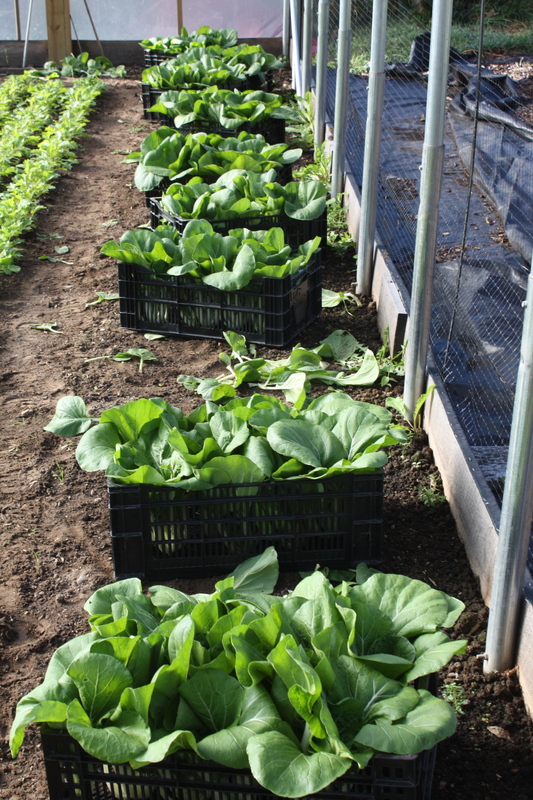 Pac Choi Cut and ready to be crated. Pac Choi Harvest headed to the washing station. Broccoli-The start of the Fall broccoli harvest. BEST GUESS FOR NEXT WEEK-brussels sprouts (for sure! 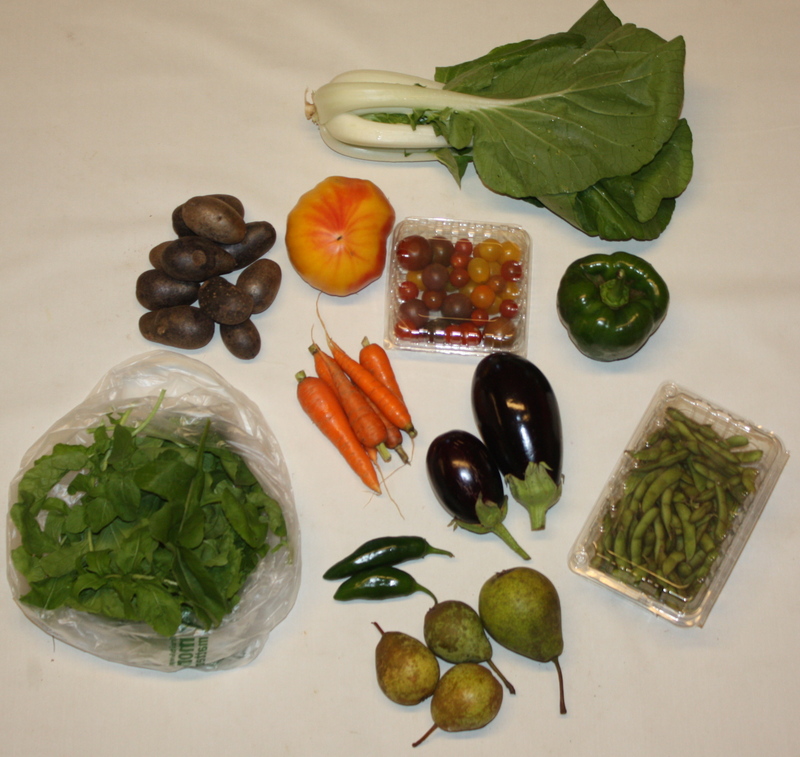 ), asian greens mix, swiss chard, spaghetti squash, potatoes, edamame tomatoes, spinach (it’s back!) and more……. 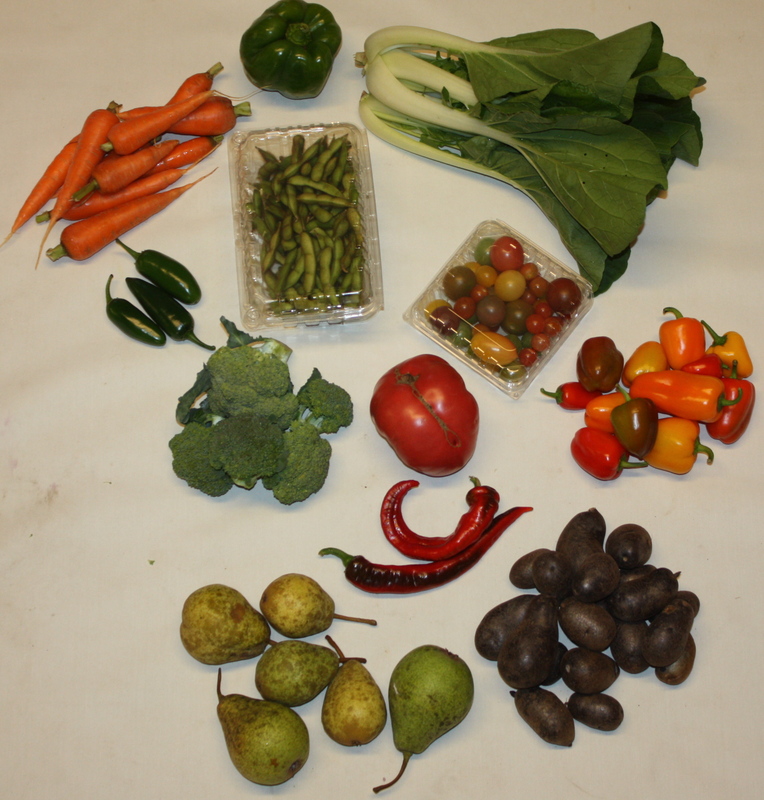 MONDAY OCTOBER 12TH WILL BE THE LAST SHARE OF THE SUMMER SEASON……..